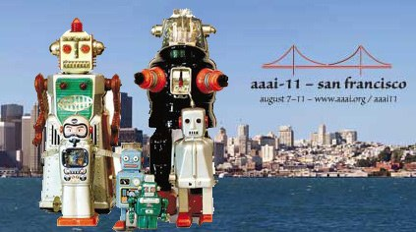 This year will mark the 20th annual Robotics Program held in conjunction with the AAAI conference. The program has a long tradition of demonstrating innovative research at the intersection of robotics and artificial intelligence. In both the workshop and exhibition portions of the event, we strive to have the robotics program be a venue that pushes the science of embodied AI forward. Over the past few years, a central point of the event has been the discussion of common robot platforms and software, with the primary goal of focusing the research community’s energy toward common “challenge” tasks. This year we have three challenges and one student exhibition. We are looking forward to a great event in San Francisco! June 1: Team leaders send AAAI, robot/team name, affiliation, 100 word description for the program, and photo/video release form.